Just like you can, your dog can get a flu shot while he is still well. This can help boost his immunity and make him better able to fight off the flu virus, if he's ever exposed to it. Ask your doctor about giving your dog the influenza vaccine for dogs. This vaccine can help your dog stay well during the entire flu season. During the flu season months, consider keeping your dog away from other dogs -- particularly those of strangers or those that might be feeling unwell. By keeping your dog away from other pups that may have the flu, you can ensure he won't catch it. If your dog feels lonely or isolated, have him play with a friend's pet that you know is well. When you interact with other dogs say, on the street or at the pet store -- make sure you go home and wash your hands well. You should also wash your clothing, especially before you interact with your own dog. If you interact with a dog that has the canine flu, you may have some of his germs on your person. By thoroughly washing any part of you that came into contact with the sick pup before you touch your dog -- you can ensure you don't accidentally spread any unwanted germs. If your dog seems to be feeling bad, take him to the vet right away. Your vet will be able to examine your pet and determine, based on his symptoms, what he is suffering from. While there is no medicine to treat the actual flu, your vet will be able to give you medication for your pup that can help control the symptoms and make the illness more comfortable for him overall (like medication for fever, medication for pain, medication for respiratory distress, and more). Your vet will also be able to give you detailed instructions for caring for your dog while he has the flu. 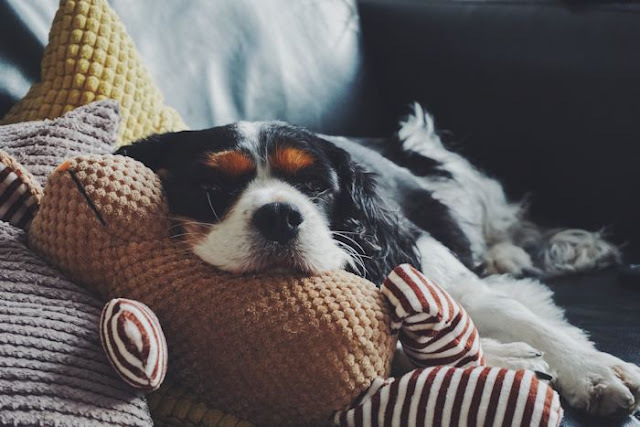 These instructions will help your dog recuperate as fast as possible, be as comfortable as possible, and avoid spreading germs to any other pets in the house. If you have a pet dog that loves to romp and play with other dogs, there's a chance he might be exposed to the canine flu during flu season. However, by taking some extra precautions, and by learning about the first symptoms of this flu, you can ensure that your dog doesn't catch the disease or that you are able to treat any illnesses promptly, in case he does catch something.